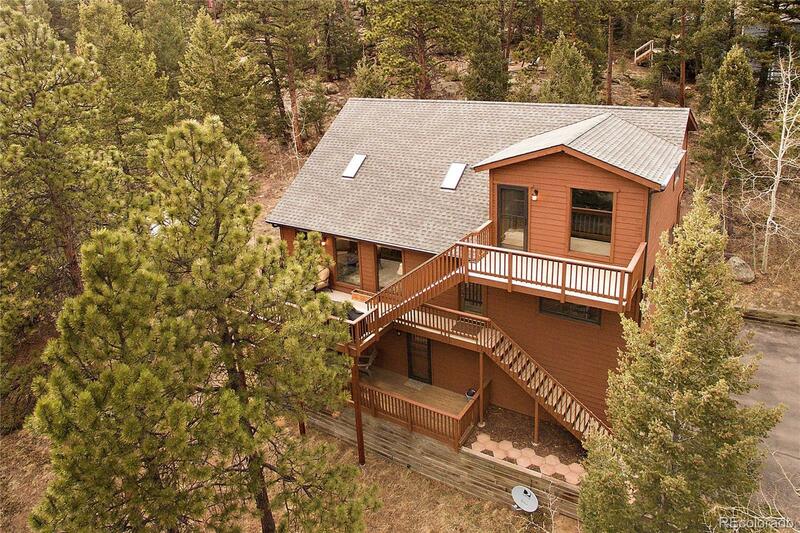 Enjoy stunning mountain views from this well-maintained Conifer home situated on just under an acre of gentle usable land. Bathed in south-facing Colorado sun, this home stays light and bright year-round. Floor to ceiling windows, hardwood floors, granite counter-tops, vaulted ceilings, and a purposeful layout. Surrounded by mature pine trees and cool rock outcroppings. Expansive decks offer outdoor living space to entertain, relax, and soak up the views. 2-car over-sized attached garage and a 50 year roof installed just 4 years ago. 60 mbps internet available from CenturyLink! Super easy access to 285 making any commute easier. This house feels like home.